3 Professional 130g juggling balls in a beautiful black leatherette box with instructions. These balls are considered the best in the world. Colors will vary. This juggling set comes with three taped Higgins Brothers Spirit juggling clubs. Also includes an instruction manual and exclusive Youtube juggling club instructions. 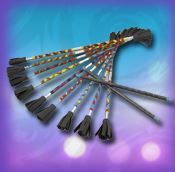 Spirit juggling clubs are indestructible and a great gift for beginners. 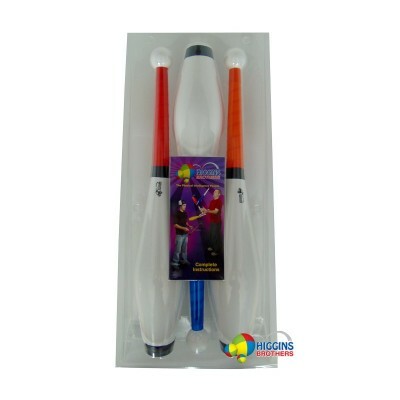 This juggling set comes with 3 Higgins Brothers Euro Eclipse Juggling Clubs. Also comes with instructions and exclusive Youtube content. The Youtube videos teach all sorts of juggling skills, including how to juggling three clubs. Euro Eclipse clubs are indestructible. Great for beginners to pros.